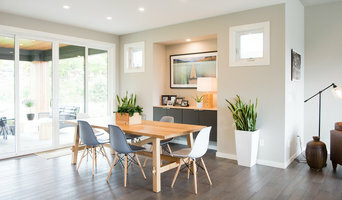 K and R Design Company offer Interior Decorating, Home Styling, Re-design, Home Renovations, Home Staging and collaboration with skilled Trades. We live to create fun, inspired, stylish spaces. We believe your home should reflect your unique needs, personality and lifestyle, balanced by the creativity, knowledge and professional experience of our designers. Our Perspective at Hatch Interior Design is unique to Kelowna. Unlike most interior design firms, we focus exclusively on commercial projects and multi-family developments. Residential and commercial Interior Decorating with the European touch.